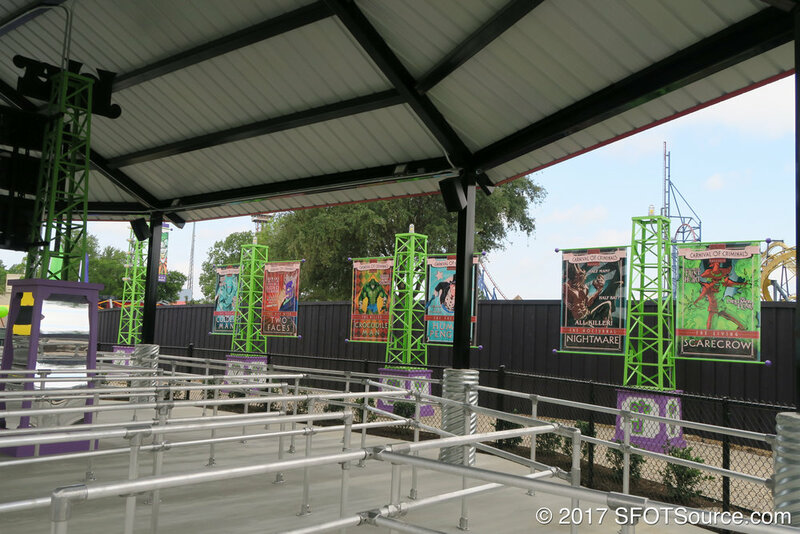 Batman: The Ride at Six Flags Fiesta Texas. 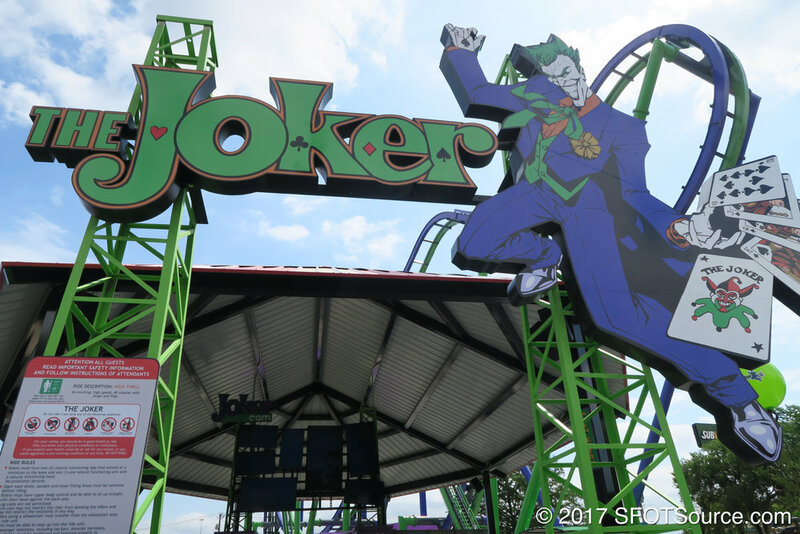 The Joker is one of several installations coming to the Six Flags parks in recent time, much like the B&M inverted coaster of the 1990s. 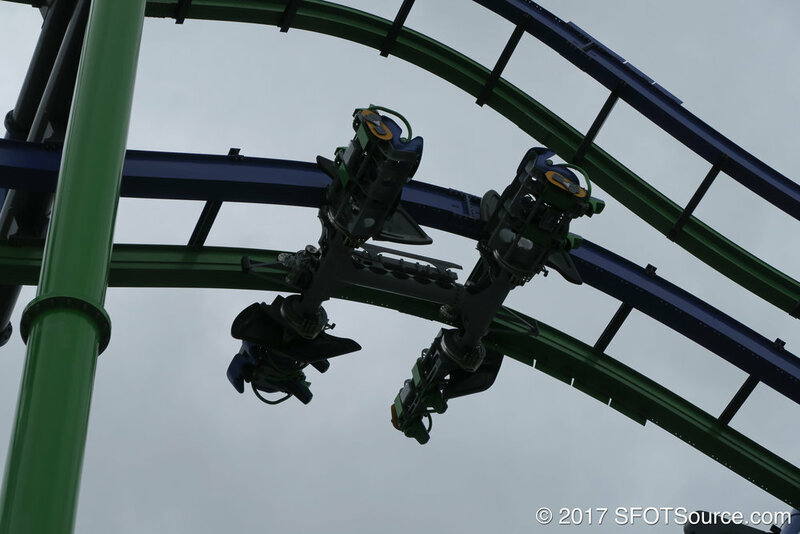 The first of these S&S Free Spin coasters came to Six Flags Fiesta Texas in 2015 and was given the name Batman: The Ride. 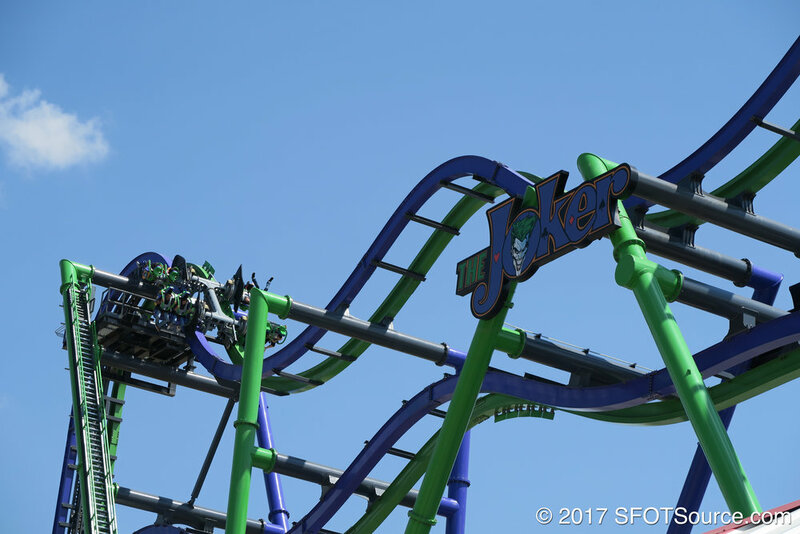 The Joker at Six Flags Great Adventure. 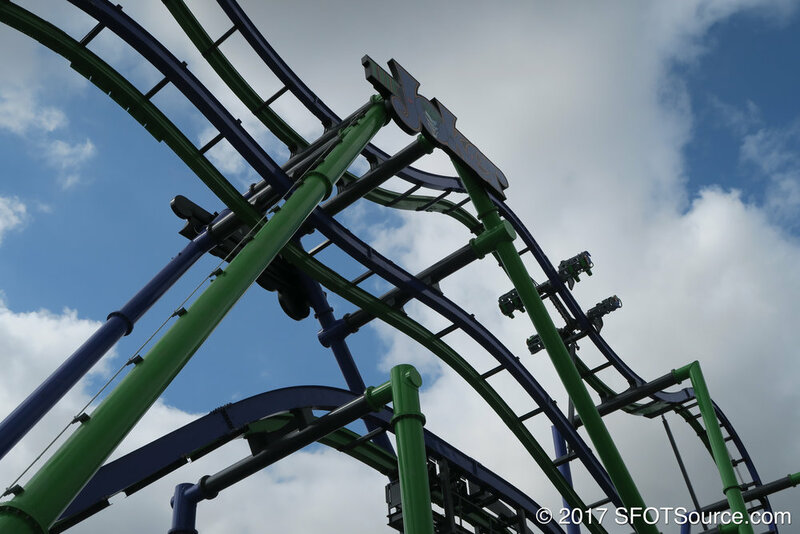 In 2016, Great Adventure added one of these models. 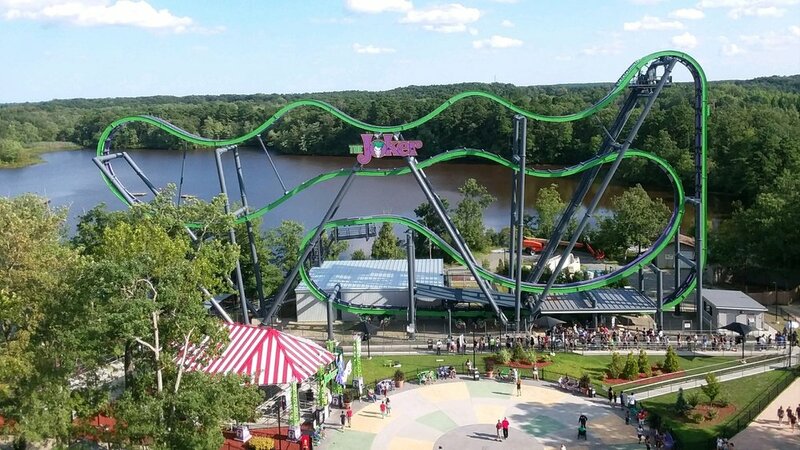 It was originally intended to be named Total Mayhem. 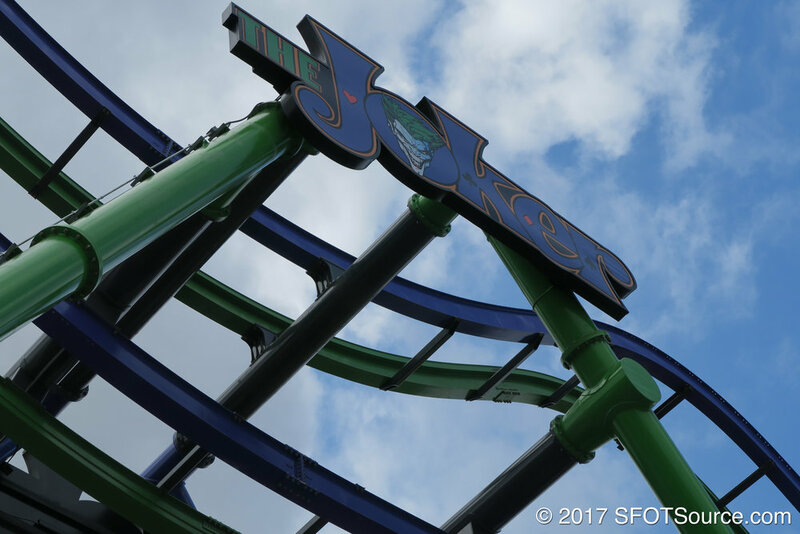 However, the ride was quickly renamed to The Joker during construction. 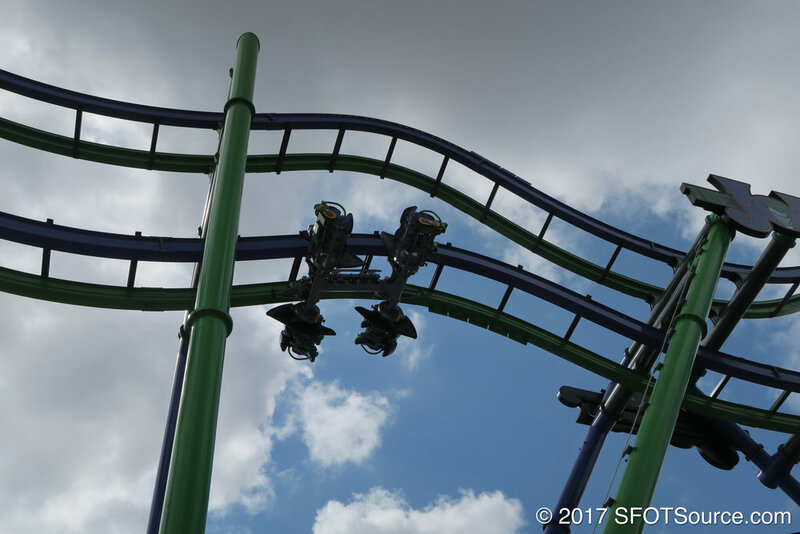 In 2017, Six Flags Over Texas, Great America and Six Flags New England added the same model roller coaster. 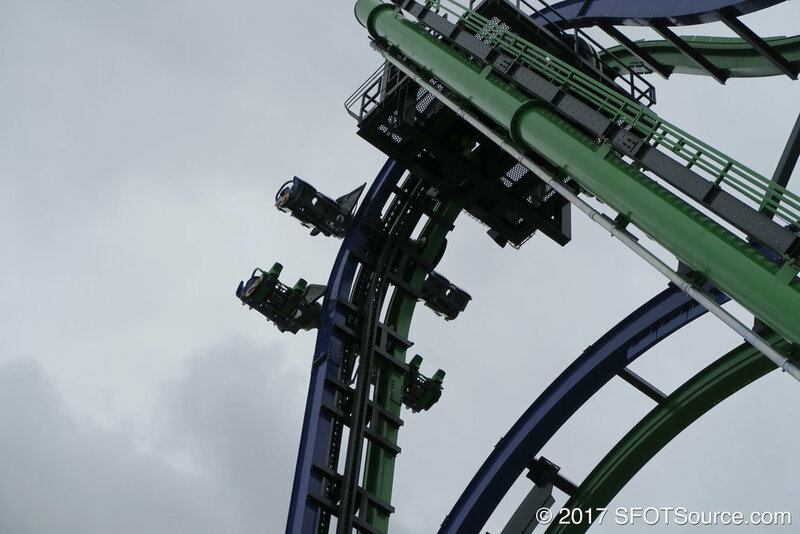 They are all named The Joker. 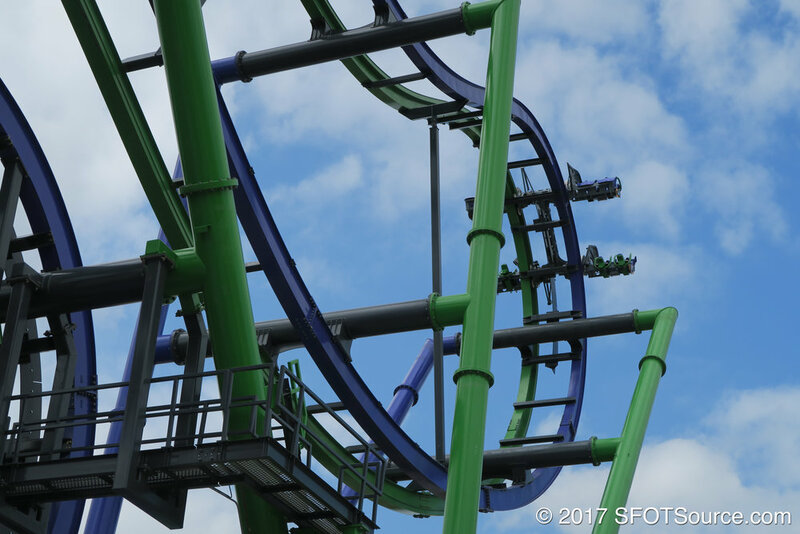 By 2020, nine roller coasters with the same track layout are slated to be found throughout the world. 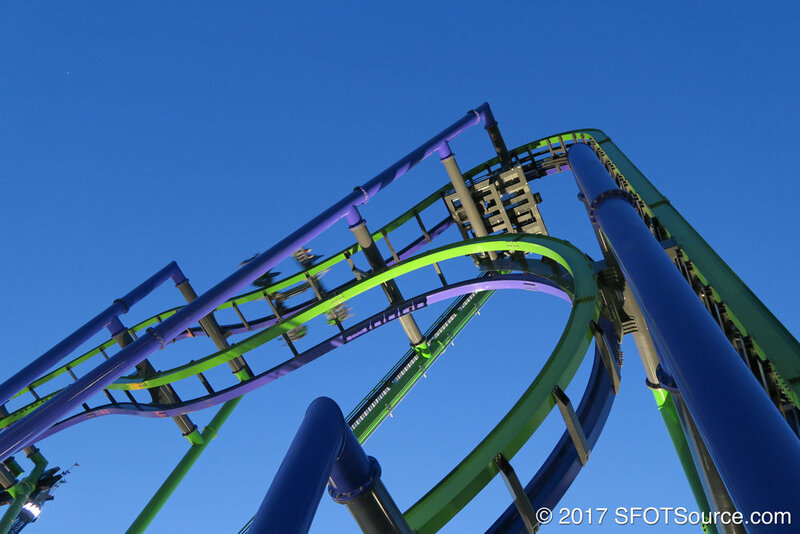 Seven of these will be found at Six Flags parks!